The Brisbane International 2015 witnessed some massive upsets, as some top players made an early exit from the ATP 250 event Down Under. The series of upsets started with 125th-ranked James Duckworth’s win over 6th seed Gilles Simon. The former looked in supreme touch throughout to pull off a serene 6-2, 6-2 win. Later in the day, Aussie teen Thanasi Kokkinakis clinched the biggest triumph of his career, stunning 25th-ranked Julien Benneteau 6-4, 6-3 in the opening round. “I thought a good result like this was just around the corner,” an ecstatic Kokkinakis was quoted as saying by the ATPWorldTour.com. 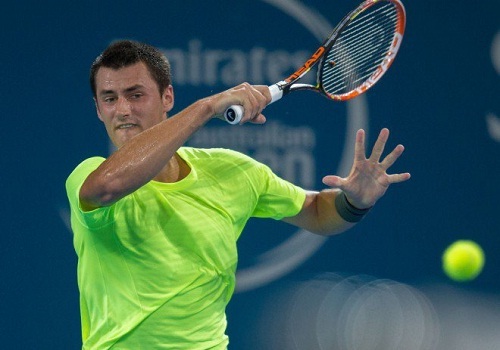 Local favourite Bernard Tomic also progressed to the second round with a 7-5, 7-6 conquest of American Sam Querrey.